Now with two locations to serve you better! 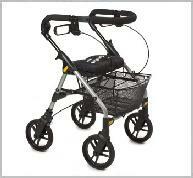 Description: With X-folding frame design, this walker features a collapsible basket and a cable-free braking system. 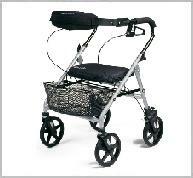 Description: With X-folding frame design, this walker features a collapsible basket and a cable braking system. 17lbs. 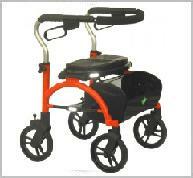 Description: The Evolution Series, available in four sizes, are the strongest and one of the most stable walkers on the market today. 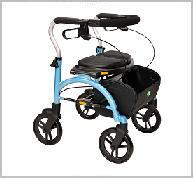 Description: With a seat height of 18”, the Challenger Mini is a small and compact yet strong walker. The Challenger Grande comes with a larger seat and a 21” seat height and has a storage bag under the seat. All 4 models have 8” wheels and a flexible back support. Both the Wide and Low Wide models have a 400 lbs capacity and only weight 16lbs! Description: The Sprite series it the most economic choice in the Evolution product line without compromising any quality or reliability. 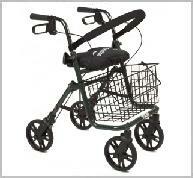 It is available in three sizes including two models with 6” wheels suitable for indoor and some outdoor use. 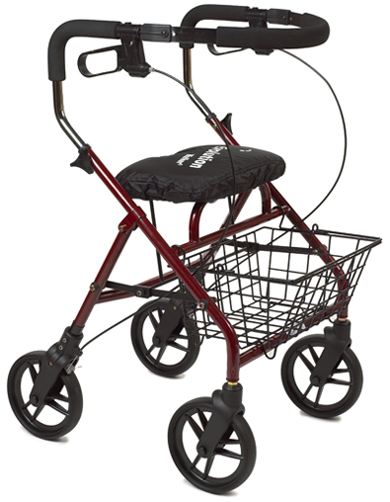 The Sprite Grande comes equipped with 8” wheels and is a lightweight full size walker designed for full outdoor and indoor use. Description: The Piper Series was designed for those who need a lightweight yet solid and stable platform. It is the strongest aluminum walker in the market today and is available in four sizes, from the 17” seat height Piper Super Mini DX to the 23” seat height Piper Tall DX. 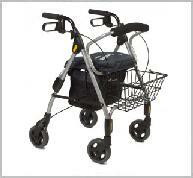 Description: The Horizon Series is a strong, stable, compact walker that has a shorter turning radius and reverse handle design, making them ideal for a smaller living area and outdoor use. Available in four sizes, from the compact Mini to the 400lb capacity Wide to the Tall with handles that extend to 40” high. 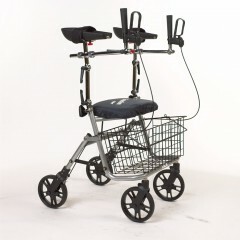 Description: The Arm Trough System has been designed for the person that cannot use a traditional walker handle. It provides a more stable platform, allowing users to remain upright. Can be used as a pair and adjusted to fit. One hand brakes available. 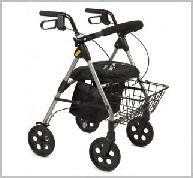 Description: A simple to operate, one-touch height adjusting walker with memory locking handle adjustment. The patented design ensures that when handles are lowered for transport, they can returned to the proper setting every time. Description: With the same ProDe3 premium build and quality, the Victr is practical, compact, and has the bold and distinctive styling that provides great handling and stability. 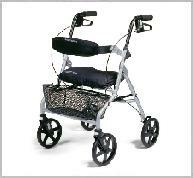 Description: The Aurora is an indoor-outdoor walker that offers great versatility. 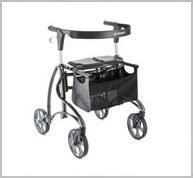 Description: Constructed with large diameter tubing, wide profile 9" wheel and extra wide wheel base, the Balius is an all terrain walker that provides maximum stability and comfort.